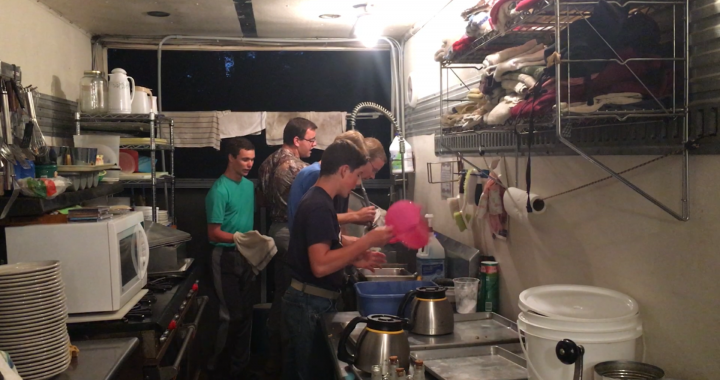 Last week during Family Camp, the staff worked long hours. Their first responsibility started a little before 7:30 am and the were not finished until about 11:30 pm. One evening, i walked in the kitchen about 9:30 and this is what I saw. What a BLESSING to have godly and hard working staff that love to sing while they are working.